On Friday 18th December we will be holding our main fundraising event of the year at the Town Hall (9am to 3pm) As well as our usual refreshments we are holding a tombola, cake stall and craft stall. So come along to buy your last minute Christmas gifts from our Craft Club Stall or have a go at guessing the weight of our delicious Christmas Cake. The CCA team are out and about again on Saturday 4th July at the Hutton Rudby Village Fete. Stuart Robertson’s Gazebo will be protecting us from the “iffy” summer weather and we will have plenty of info/leaflets for anyone interested in what we do or volunteering in general ! Over 400 Cars, Vans, Bikes, Tractors and Speciality Vehicles are expected in the Showfield for the fourth Rotary Club of Stokesley ‘Classics on Show’ on Saturday 20 June 2015. But even better than this, Stokesley and District CCA will also have a stall publicising our services and a tombola to raise some funds. We hope to see you there from 10am! A Stokesley based charity has been named as one of just forty three recipients of a prestigious, county wide community initiative award. 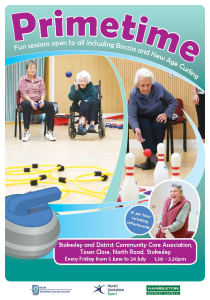 Stokesley and District Community Care Association was founded in 1988 to help support elderly and disabled residents by providing a number of services including transport, exercise classes, a lunch club, craft club and community visiting services. 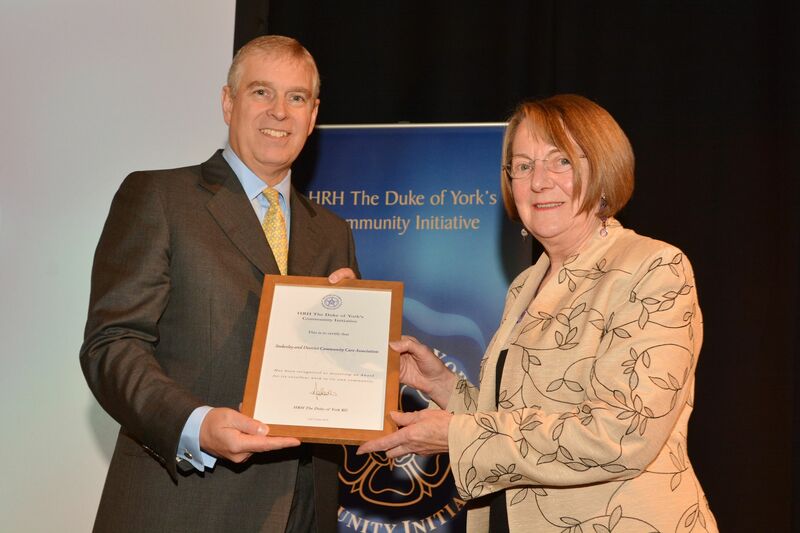 Recently the Initiative, which was founded by His Royal Highness The Duke of York in 1998, held its annual awards ceremony at the Magna Science Adventure Centre, Rotherham during which His Royal Highness personally presented recipients of the 2014 awards with their citations. The attached picture shows: Dorothy Blakey receiving their 2014 award from HRH THE DUKE OF YORK. 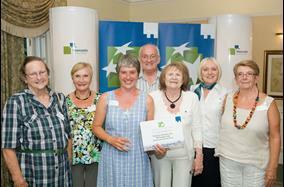 Recently our Befriending service was given an award by the Newcastle Building Society. 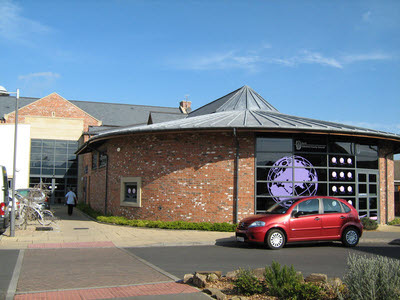 The scheme gained the award for its contribution to the community. It is coordinated by Sarah Thorogood who has explained that there are two separate schemes, respite sitting, which provides a much needed break for carers who know their charges are in good hands, and the befriending scheme for the lonely.